It's no wonder that Cleveland is home to the internationally famous Rock and Roll Hall of Fame - Cleveland disc jockey Alan Freed coined the phrase for this new musical phenomenon nearly 50 years ago. This work takes an in-depth look at the people, venues, and artists that made Cleveland the "Rock 'n' Roll Capital of the World". 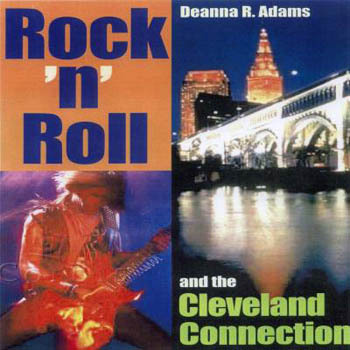 It shows how Cleveland witnessed the rise of such widely recognized groups as the James Gang, the Outsiders, Damnation of Adam Blessing, and the Raspberries. Casey Kasem fine-tuned his long-running broadcasting career in Cleveland. Nearby Canton gave us the O'Jays, and Akron spawned Devo and Chrissie Hynde of the Pretenders. And the rock concert was pratically invented in Cleveland in 1952, when Alan Freed convened the first Moondog Coronation Ball. By the 1970s Cleveland had become a proving ground for superstars in the making.